Post and prior to launch of this much acclaimed vehicle, most everyone seems to be dejected at having bought a sedan or some other SUV instead of waiting for this latest offering by Renault. Renault seems to have realised this and have rather sneakily launched an advertisement campaign with a clever tagline offering their apologies to all those who bought a sedan. Now considering the Indian penchant for SUV’s this seems to be a golden time for the Duster who is to challenge such dominant Indian vehicles as the Mahindra Scorpio and the Toyota Innova. Renault has offered the Renault Duster 85PS Diesel RxL Pack Pack for those who want a little extra car in their Duster. 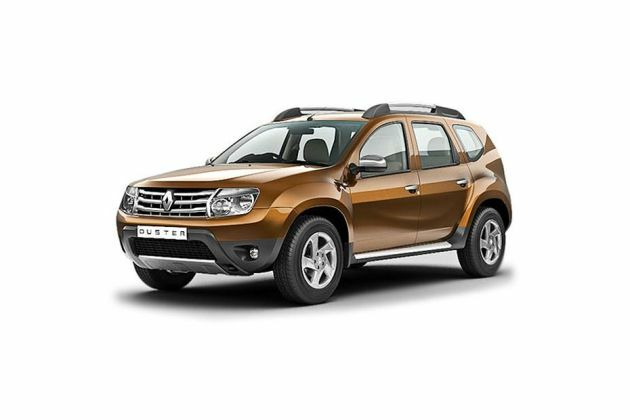 This variant is an upgrade to the base option Renault Duster 85PS Diesel RxL Pack and features such additions as an anti-lock braking system, emergency brake assist and stability control to name a few. The engine displacement and power output remain the same as the standard diesel RxL variant. There are times when a car manufacturer will get almost everything about the looks of a car right. These occurrences though rare do happen. The Renault Duster 85PS Diesel RxL Pack Pack is one of these occurrences. The front end features the now well-known chrome finished grille and dapper looking fog lamps to boot. The bumper on the Duster though nothing to write home about is still quite in place with the rest of the front end. The cleverly situated headlamps feature twin-optics to angle the light beams conveniently onto the road . Aerodynamics are often a chore for even the best designed SUV’s; the Renault Duster 85PS Diesel RxL Pack Pack however seems to manage even this feat with remarkable ease, cutting down wind resistance and buffet noise levels. The side-view of the SUV leaves quite an impression on viewers. Well fitted door handles, wing mirrors and fuel lid leave a powerful impression. True to SUV form, the wheel arches are placed well above the 16 inch alloys. The rear end shows off the vertically embedded tail lamps that leave much to be desired. The Chrome skid plate and the regally curved boot lid however grab the attention of the viewer saving those tail lamps. The rear also features a high mounted stop light, standard windshield wipers, reflectors and the rather cold Renault logo. Renault India has offered the Renault Duster 85PS Diesel RxL Pack Pack in Cashew Brown, Platinum, Mineral Blue, Glacier White, Pearl Black, Basalt Grey and Navy Blue. That is enough variety to keep most anyone happy. The Renault Duster 85PS Diesel RxL Pack Pack boasts regal interiors with a capacity to seat 5 persons comfortably. Upon getting into the car, the driver and passengers are immediately aware of the dark themed interior lining. The dashboard gives off a sporty yet mellow feel punctuated by the traditional circular A/C vents. The 3-spoke steering wheel is rather dull but manages to retain some style thanks to the bold Renault logo. The upholstery is dark leather that may be a pain in the summer but gives a groovy feel while adding a touch of finesse to the SUV. The Renault Duster 85PS Diesel RxL Pack Pack also boasts power windows. All in all, this is one comfortable SUV. The Renault Duster 85PS Diesel RxL Pack Pack comes with a 1.5-litre 4 in-line cylinder turbo charged DCI engine . While most may consider this to be rather small for an SUV, the size of the car and the turbo charger unit help in redeeming the image of the Renault Duster 85PS Diesel RxL Pack Pack. Size is no guarantee of power is definitely proved by an astonishing 83.8bhp@ 3750rpm. That’s a lot of horses for an SUV. The Duster also produces 200Nm of flat torque at 1900rpm. The 1.5-litre displacement 4 in-line cylinder dCI engine comes with a standard turbo charger for better air/fuel mix ratios. With the turbo charger unit the fuel economy may go up to as high as 18.0 Kmpl within city limits and in the proximity of 20.0 Kmpl out on the highway . For a mini SUV with such brilliant looks and style this is rather good fuel economy. Keeping in mind the engine size of the Scorpio and the Innova, the Duster still provides better fuel economy than both the other vehicles. The fuel capacity on the Renault Duster 85PS Diesel RxL Pack Pack is 50-litres. The Acceleration on the Duster if compared to another sedan would be fairly decent. This however is an SUV; the Renault Duster 85PS Diesel RxL Pack Pack promises to surprise even the most critical of petrol heads with its engaging acceleration. Going from 0-100 kmph within a mere 11.8 seconds , the Renault Duster 85PS Diesel RxL Pack Pack puts that turbo charged unit to good use. The top speed is a good and steady 164 kmph . The brakes on the Renault Duster 85PS Diesel RxL Pack Pack are quite good in terms of most SUV’s. It features the anti-lock braking system with brake assist and EBD. In terms of handling the Diesel RxL promises to be a charm and the suspension alignment makes it a comfortable ride regardless of the road condition. The steering wheel is rigid power steering to add control during the most violent of excursions. Suspensions come in the form ofthe Independent McPherson strut with coil springs and anti-roll bar out in the front and Torsion beam axle suspensions with coil springs and anti-roll bar out back.The Renault Renault Duster 85PS Diesel RxL Pack Pack comes with 16 inch alloy wheels. It features tubeless tires with in the size of 215/65 R16 . The alloy wheels come with an anti-theft key over the nut-covers. Safety features in the Renault Duster 85PS Diesel RxL Pack Pack include a whole host of options such as anti-lock braking systems with brake assist and EBD, telescopic steering control, vehicle stability control, central locking, driver and passenger airbags, seatbelt warning among other features. Renault India have definitely surpassed themselves in terms of driver and passenger comfort in the Renault Duster 85PS Diesel RxL Pack Pack. It features power steering, power windows, front and rear A/C vents, lumbar support, parking sensors among others.